A medical aid from Bonitas is around-the-clock-care. Bonitas medical aid plans are like having someone fuss over you all the time. Choosing medical aid from Bonitas is a healthy choice. They are among the top medical aid providers in South Africa. It’s vital to have the best healthcare you can afford as even fit and healthy people become ill.
Health insurance may seem like a luxury to some, but when you need it you’ll be glad it’s there. Look for supplementary benefits when you consider buying a healthcare plan. Often they make the plan more affordable. M edical aid from Bonitas covers hospital accounts in full and admission is subject to pre-authorisation except for an emergency. Four of the five plans the Bonitas scheme provide offer unlimited cover for major medical issues. Bonitas’ chronic benefit covers medicine for conditions that require on-going treatment. The three plans offer different limits, BonEssential, BonSave and Primary plans offer prescribed minimum benefits at certain service providers. The Standard plan has a limit of R6 900 per person. Having cover for chronic medication can make medical aid affordable if you don’t have to pay extra for medication. The Out of Hospital Benefit covers daily costs that you may incur. This allows you to manage your own out of hospital costs. Any funds not spent are carried over the next year with interest. Another option is the Standard and Primary plans whereby out of hospital care is coordinated by the GP on the Bonitas GP Network to ensure excess tariffs are not charged. 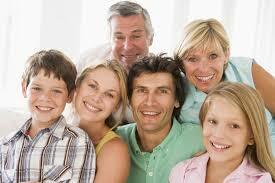 The Primary option is ideal for people who do not need chronic medication but do want cover for major medical costs. This plan has an annual limit of R1 million with day-to-day benefits. Included are GP and specialist consultations, pathology, radiology and more. The Standard option provides full cover and day-to-day benefits. Members can use the GP Network without having to make co-payments. The plan has a no-limit overall annual benefit as well as further chronic extras. The plan is just one of the reasons Bonita features as one of the top providers. It fully covers a hospital stay and provides for PMB conditions and certain extra benefits in or out of the hospital. Bonitas offers a range of options to suit your needs and budget as well as rewards for their members. ← Bonita – one of the top medical aid providers.